We Came, We Saw, We Did NOT Get Arrested! This will go in Brielle’s baby book as her first “ghost hunt” with Mommy. My parents even joined us on the trip. My mother was so excited about our excursion that she just had to tell our waiter that once we were done chowing down our brunch of pizza, pasta, scrambled eggs and waffles we would be going “ghost hunting” (I have to interject that this is exactly why I love brunch…when else to do you get to eat eggs Benedict and pizza in the same setting). This picture doesn’t do justice to how HUGE this building is. Click the link to their website to see a better photo of its size. 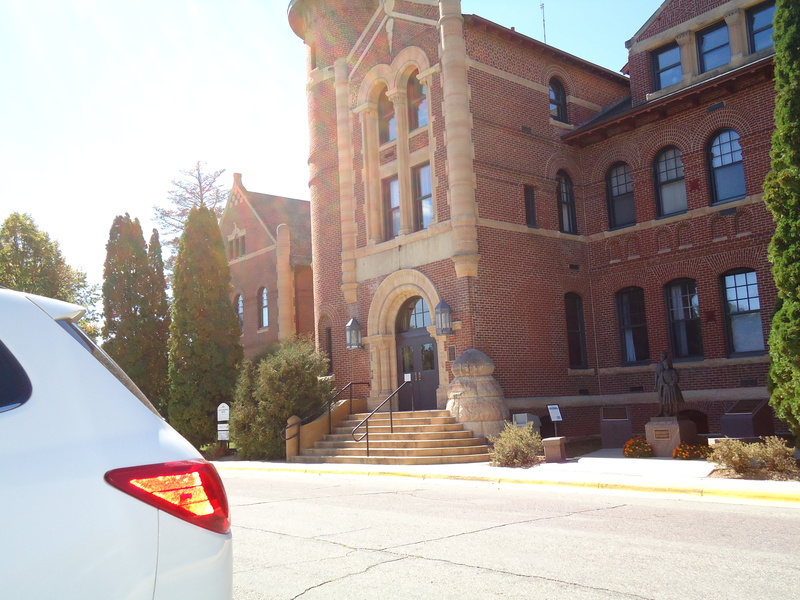 As we traveled up the driveway toward the front of the main building, I could imagine how intimidated a small child would feel as they were driven to this looming, dark structure that was suddenly their new home. Even as an adult, the immenseness of the stately building made me feel incredibly small. We spent about an hour in the main building, where they’ve made a nice, all be it depressing, memorial to the 10,635 children who called the State School their home. 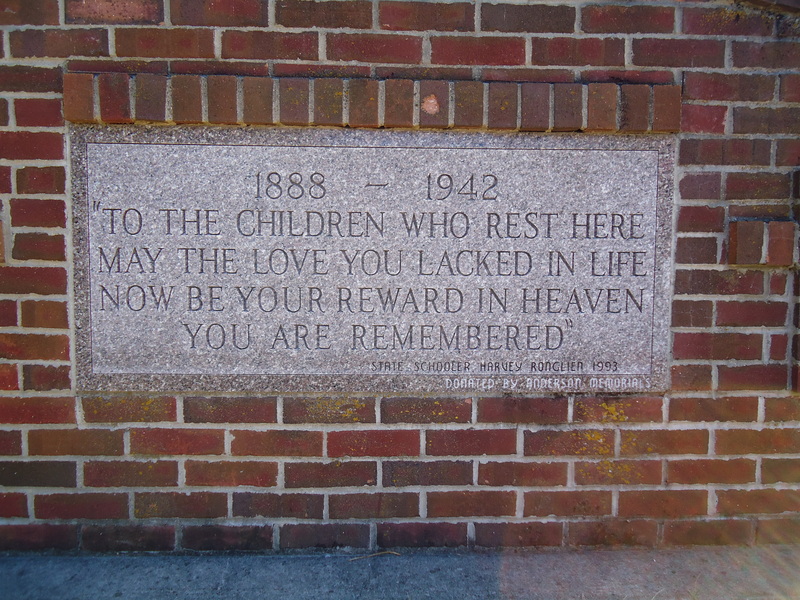 The stories of abandonment and mistreatment were especially difficult to digest as my own kids wandered around looking at the black and white photos of so many beautiful children who spent their youth in this institution. After we toured the museum on the main floor, we tried to go upstairs. Finding the doors to the stairway locked, my mother led us to an elevator. We reasoned that if they didn’t want us upstairs they would have locked that too (although I’m not sure you actually can lock an elevator, but whatever – it seemed logical at the time and well, my mom told me to do it). So we piled in, and up we went. We found ourselves in the hallway of some very uninteresting government offices, face to face with an employee named Bev shampooing the carpets. As we tried to explain that we were “lost” and unsure where we were supposed to be, I put my hand on the elevator (holding the door). Apparently, this elevator lacks the safety mechanism which stops the door from closing on objects, such as people, and the door shut on my wrist (my hand inside the elevator – the rest of my body outside of it). I’m proud to say I managed not to cry or swear in front of my children as my mother, with strength unnatural for such a tiny woman, pried that door open and freed my bruised wrist before my bones were completely crushed. Poor Bev, who either felt sorry for our crew after witnessing the near amputation of my hand or simply in an effort to get us the heck out of there, offered to show us how to get to Cottage 11 (which has been restored and is one of the buildings where the children actually spent most of their time when not in school). Although the cottage was locked and there was no one on staff that day, Bev was kind enough to let us in and waited patiently with a smile as we wandered around for a good half hour. Now, I’d like to point out that had my mother not forced us to try to sneak onto the second floor, we never would have run into Bev, and our trip to the State School would have been much less interesting. I’m not gonna say that sometimes it pays to break the rules just a little, but…well…it seemed to serve us well this time. 25-30 children lived in the cottage at one time. They slept 2 to a bed, shared one shower and one bathtub (which they were only permitted to use twice a week) and when not in school or sleeping spent most of their time in a dismal, concrete-floored basement. Each cottage had a matron who lived with them 24/7. According to the audio tour, the matron in Cottage 11 was a woman who showed very little affection and beat a boy so badly he thought he might die because he dared to take his tie off as he walked across the yard to school. 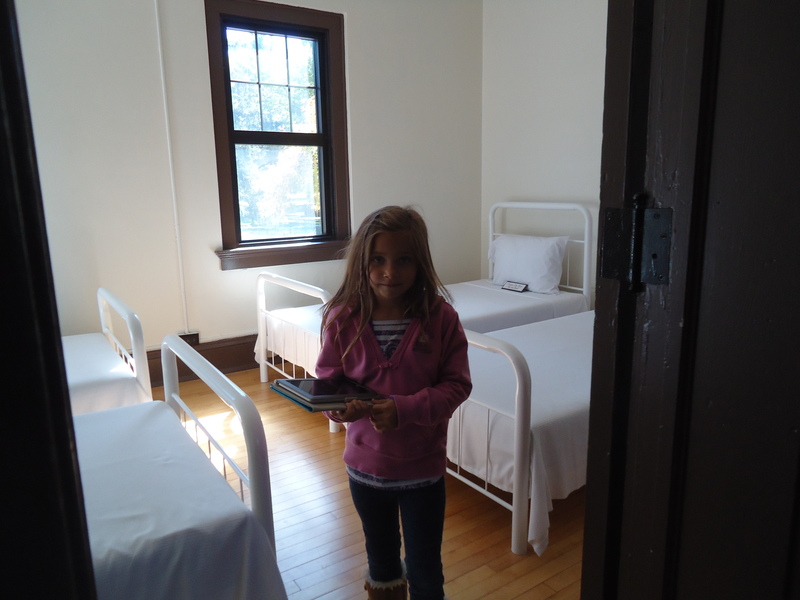 Ella in one of the bedrooms where 8 boys would have slept, two to a bed. 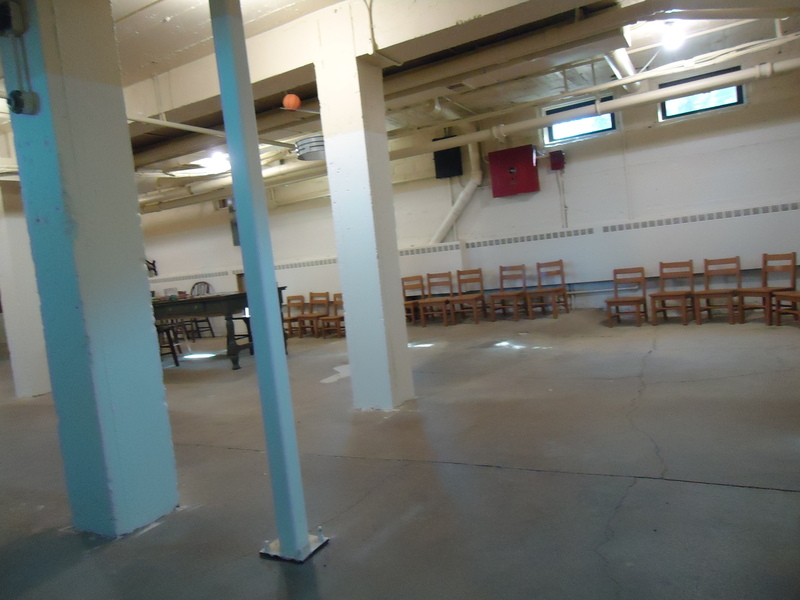 Imagine spending most of your awake hours outside of school in this basement packed with 25-30 other children. I wanted to make this picture large enough for you to read. These few sentences framed in one of the bedrooms in Cottage 11, give us just a glimpse at how harsh life in the orphanage was. 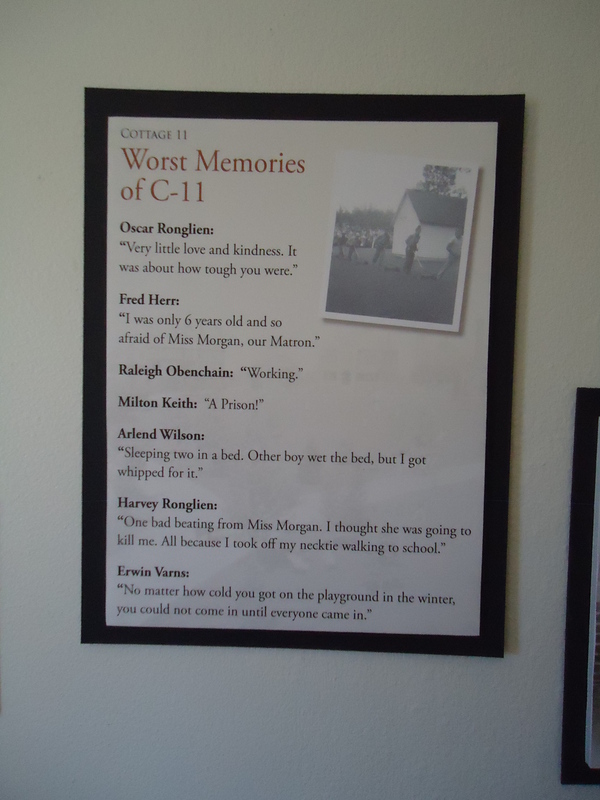 We did not capture any ghostly images in Cottage 11, but we all agreed that there was a of sense of overwhelming sadness that rested heavily upon us as we toured the building. The basement was especially dreary, and when we learned that this is where the children spent most of their time under the stern eye of an unaffectionate matron who would sooner beat them then hug them, it was difficult not to cry. 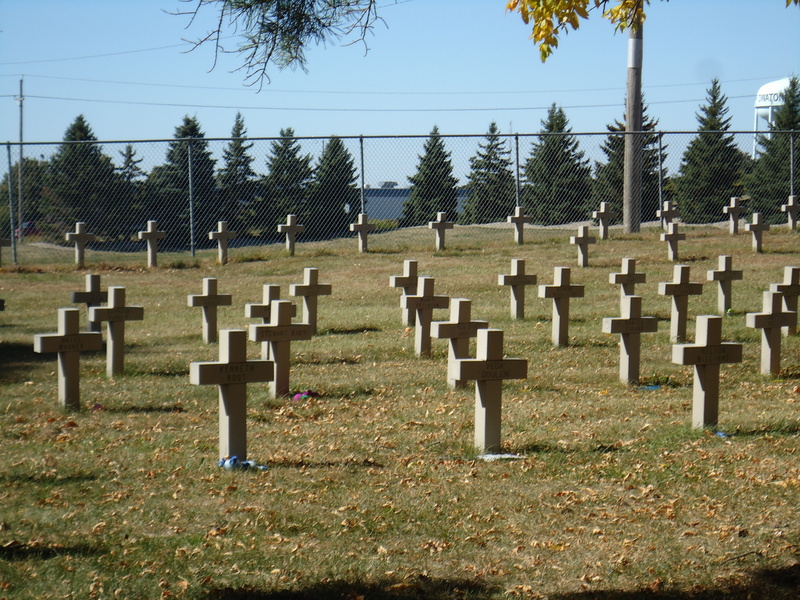 But even more heartbreaking was the cemetery where 198 of the 300+ children who died at the orphanage are buried (many of them without proper headstones – their graves had simply been marked with a number – until the community came together and gave each child a cross etched with their name). Causes of death on certificates for these children ranged from disease, to drowning, to exhaustion. 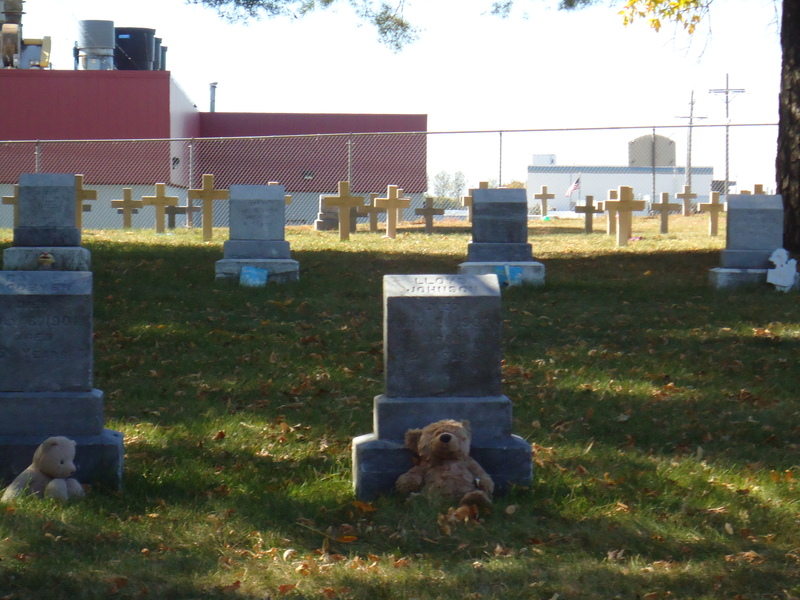 Many of the younger children died from marasmus which today we would call, “failure to thrive for lack of love.” Someone had placed a stuffed animal or toy on each grave – a reminder of the simple treasures of childhood that these little ones had been deprived of in life. In the early years, the graves were given proper gravestones which included the child’s name, and the years of their birth and death. These are the graves which for half a century or more had been marked with only a number in the ground. Now these children have a cross etched with their names above their final resting place. 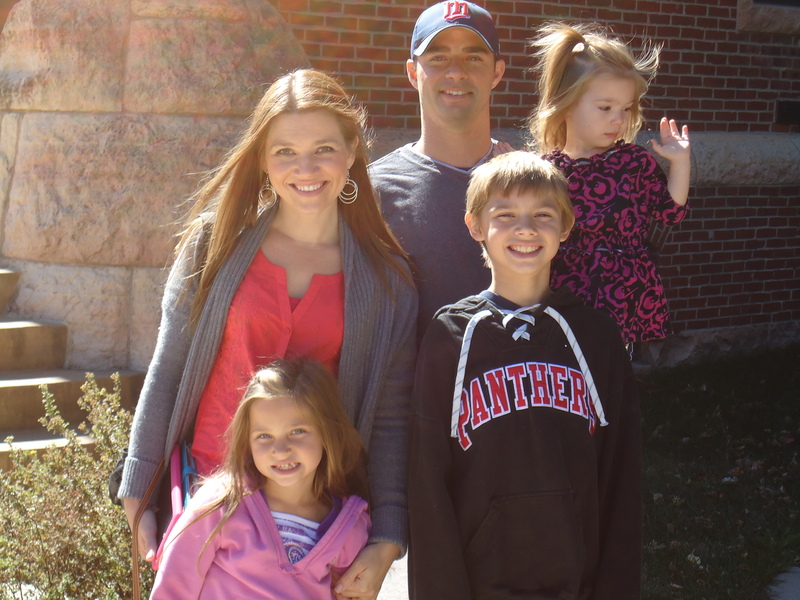 We may not have capture any evidence of the paranormal, but we left with something even more valuable – an appreciation for the life and love we have. I have no doubt that a true “ghost hunt” could yield evidence of the paranormal, but I’m gonna have to agree with the committee who decided to ban investigations at this location. Let these little ones rest in peace. They deserve that much. And now, because I can’t bear to leave you all on a heavy note (it’s not my typical nature to be very serious), I leave you with what has to be my favorite picture taken by my 9 year-old son during our visit. 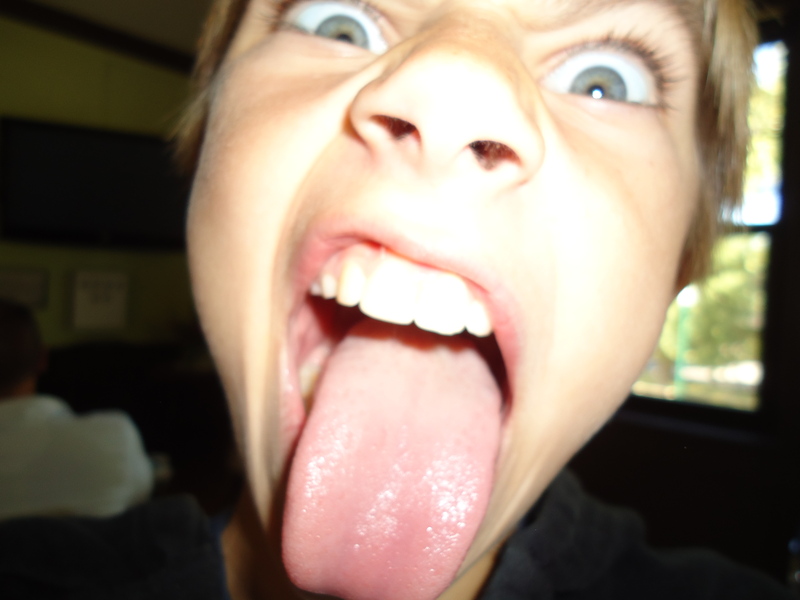 Self portrait of Logan. This is the scariest photo we captured all day! But yeah, what a place. I didn’t even know this place existed! When we lived in Bryan, OH, there was an abandoned building that someone I worked with said was an orphanage at one point. I’m pretty sure that place is haunted, too. I did notice that, and we had one other picture (which I didn’t post) that had a nice orb in it (both of which I’m letting Logan enjoy as paranormal evidence). I will say I hope it’s not haunted by the spirits of the children – I have to think God has them wrapped in his arms in Heaven – but there has to be residual energy of the sadness there. We certainly all felt it.